In order to stay in tune with my goals this year I created a vision board. 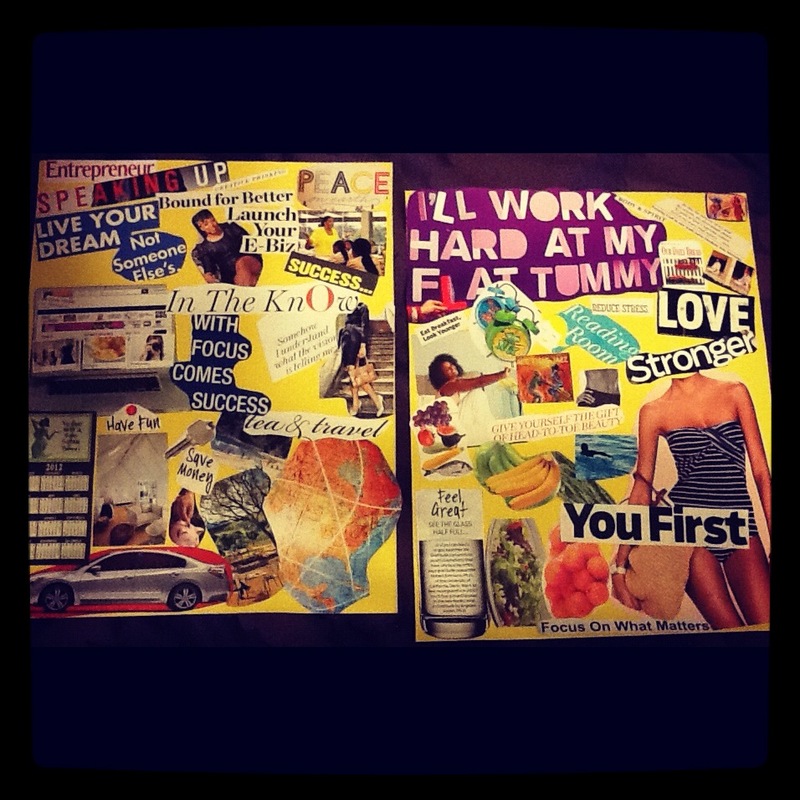 A vision board is a representation of goals you would like to accomplish over a certain time frame. For the year 2012, I am focusing primarily on my health and career goals. When most people say they want to “get healthier” it is automatically associated with weight. Now, while I wouldn’t mind shedding some of my “love” (lol) I am working on getting healthier both inside and out. On my vision board, I included images that represent my desire to eat more veggies, a picture of a person swimming because I NEED to learn how to swim. I also included pictures reflecting my desire to become more spiritual. A healthy mind is an open mind. Therefore, I included words such a “reading room” which will remind me to continue to read more; especially my bible. Then I have random quotes on the vision board such as “See the Glass Half Full,” “Stronger,” “You First,” and “Reduce Stress.” Each quote is symbolic of my overall health goal which is to become a stronger version of myself both inside and out. As far as career, most of you all know that I have recently graduated. Anyone that has gone through the process of graduating college understands me when I say, “it ain’t a bed of roses.” This is the time of your life that you actually realize that the “real world” is really the REAL DEAL. Regardless of whether you’re a graduate or simply looking for career fulfillment, my only advice would be to stick to a plan. In order to get myself in line with my plan I incorporated images to remind me of what I am working towards. I included images of the entrepreneur Oprah working with young women. That picture is reflective of my goal to empower young women. 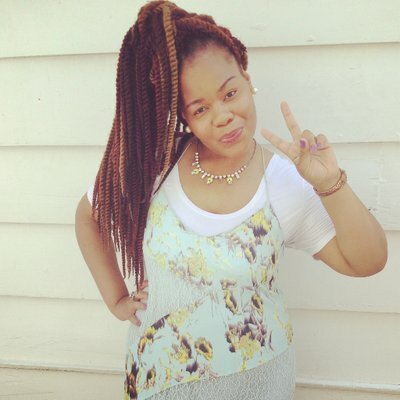 I included an image of Demetria Lucas owner of the blog and book A Belle in Brooklyn. She epitomizes my desire to continue writing both through print and online publication. I also have images of where my career should lead me within the year which is to own a new car, new apartment, saving money, and travelling. Each image on my vision board signifies obtainable goals. My vision board took about two months to actually come together. Since mid January I started to grab and snip images from different magazines that signifies exactly where I would like to be in one year. I recommend that all of my readers start and create a vision board. Creating these boards really helps to align and place your goals into perspective. People such as my former leadership professors and blogger Christina S. Brown, of LoveBrownSugar can attest that vision boards actually work. Start one today! Good luck to you all!